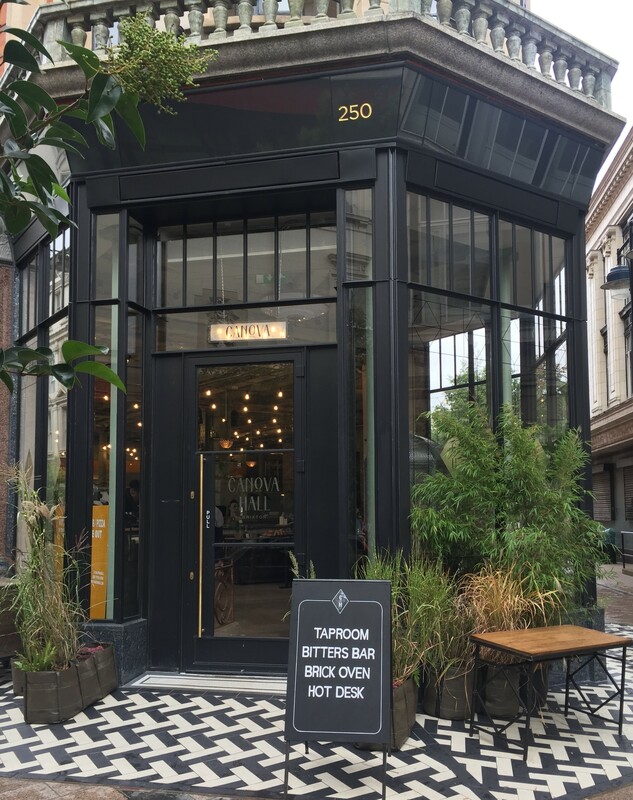 We usually wait until we have had a few trips to a new restaurant before we review, but on this occasion we really wanted to provide them with some feedback. This new restaurant is based in an iconic building which used to be an annex of the Bon Marche department state and was subsequently used as the Brixton Post Office. The renovated interior is designed by Red Deer with the usual exposed brick, pipes and a long Edwardian style panelled bar. Most seats are banquette style which seat 6 people at a squeeze but there are tables outside and inside for bigger parties. Not only do they offer meals and a fully stocked bar with plenty of small vat gins but you can also hot desk with a sessional card which allows bottomless coffee. So were were pretty excited when six of us went for Sunday Brunch. Brunch menus offer a mix of alcoholic cocktails, a selection of egg dishes, pasta and, of course, a bacon sandwich. The big bacon sandwich was just that – big. Three slices of toasted sour dough with bacon, eggs, and the spicy tomato ketchup (mushrooms were missing on mine) with chips. The chips were delicious but toasting the bread was a complete mistake. You needed good teeth and a sawing method with a knife to get through the thick crust. We advise thinner slices or less crust to begin with. 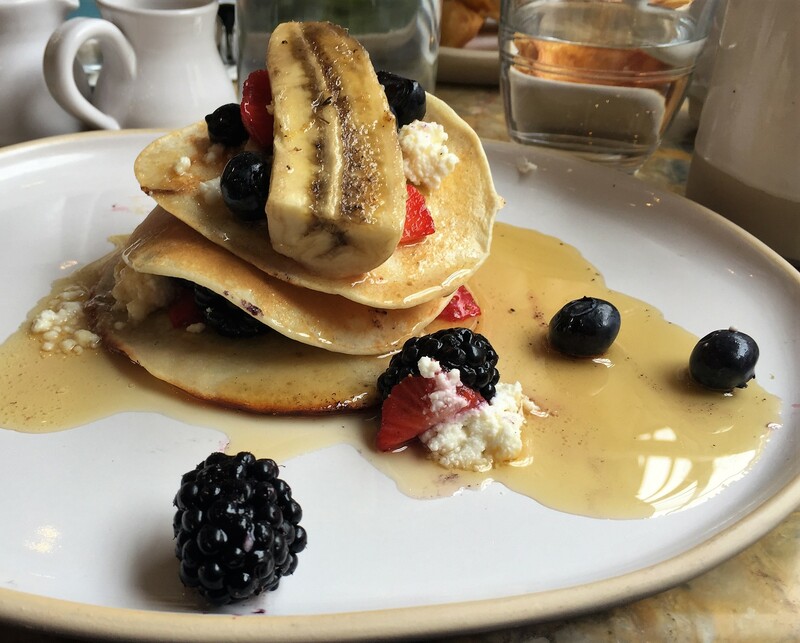 American pancakes were more like welsh cake size – small and perfectly formed but not the gross US style but were perfectly edible. 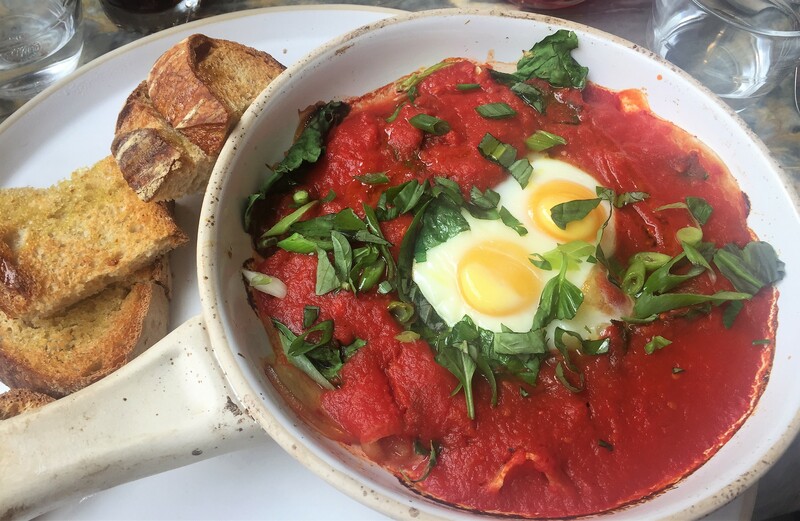 The Italian baked eggs didn’t need to be called Italian but were also OK. 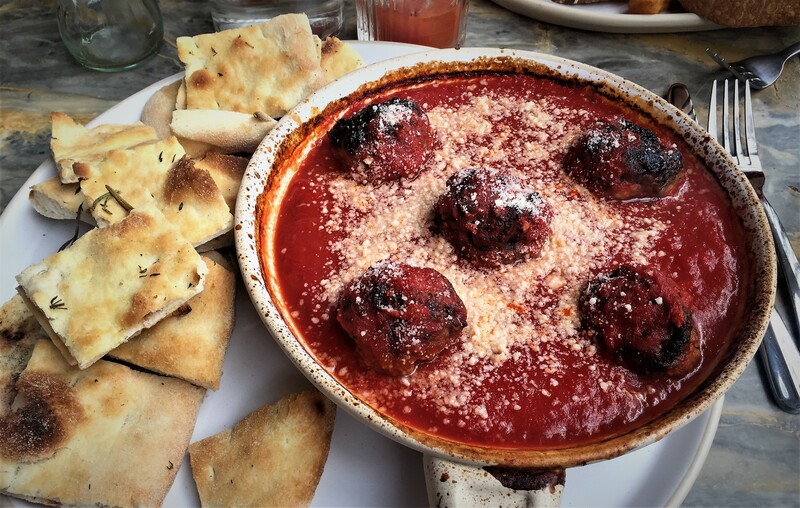 Finally the Chef’s meatballs (‘Nduja tomato sauce, parmesan with pecorino, lemon & red onion focaccia) was also OK but came about 15 minutes after everyone else’s food but we filled him up on the chips. We washed it all down with three or four cocktails and coffee. One of us had the ‘bottomless mimosa’ but the service was so slow there was no chance of making good use of the option. This lack lustre review is because we were left without any attention unless we overcame our natural inhibition and grabbed a waitress. Coffee came quickly, cocktails came slowly (took half an hour) and the food took an hour to appear after we managed to order it (more than 90 minutes after we arrived) and then not all the dishes at the same time. We saw every single member of the waiting staff and no-one seemed to be in charge of looking after our table. We were relatively early (11 am booking). The place was full by 1.00 pm and we have no idea if late arrivers got their food by the end of service although other reviews we’ve seen suggest that our experience was fairly typical. Sunday brunch is a time to relax with family and friends and we were happy to do so but not when anxious that we would be forgotten yet again. This is a management failure in terms of the training and allocation of staff. The bar was within spitting distance and we should have had our drinks in short order. By the time that brunch arrived we were all fed up with the place. We wish them well in the future and we will make another attempt when they’ve got their act together. The bill (which was wrong on the first attempt) came to £126.00 for six. We didn’t leave a tip. 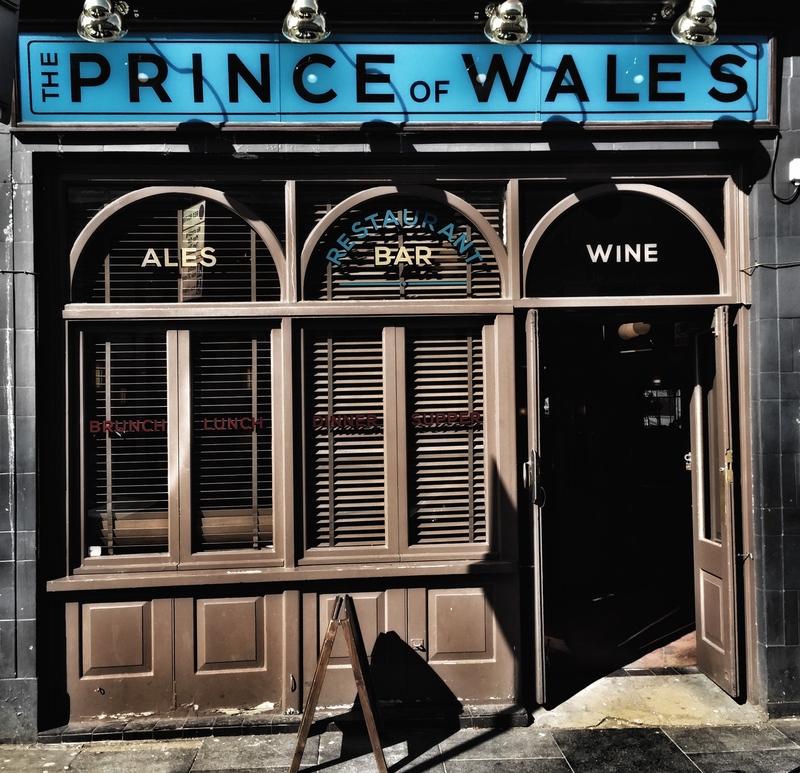 With a much quieter pace of life than central Brixton, Herne Hill is slowly becoming a new hangout for us – whether it’s the pubs (Prince Regent, The Florence, The Half Moon), coffee hangouts (The Parlour), or even the farmers market on a Sunday. So be warned that you may be seeing more Herne Hill spots pop up on the blog. This is a brunch review so will be short and snappy. It was last Sunday, with the weather being in between glorious sunshine and torrential downpours so we took shelter in Milkwood, after a quick stroll around Brockwell Park. 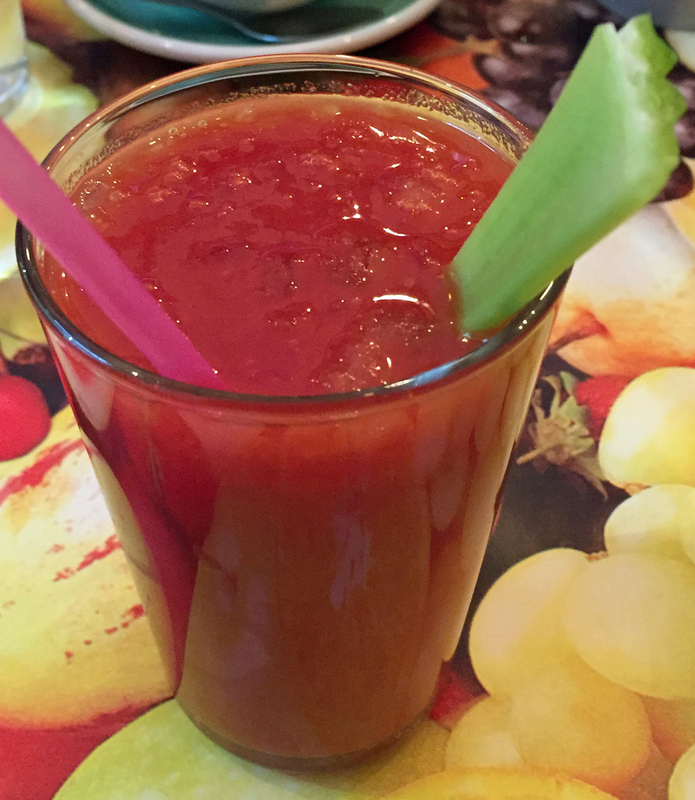 Originally going for ‘just a coffee’ we ended up with the full brunch works (with booooze!). 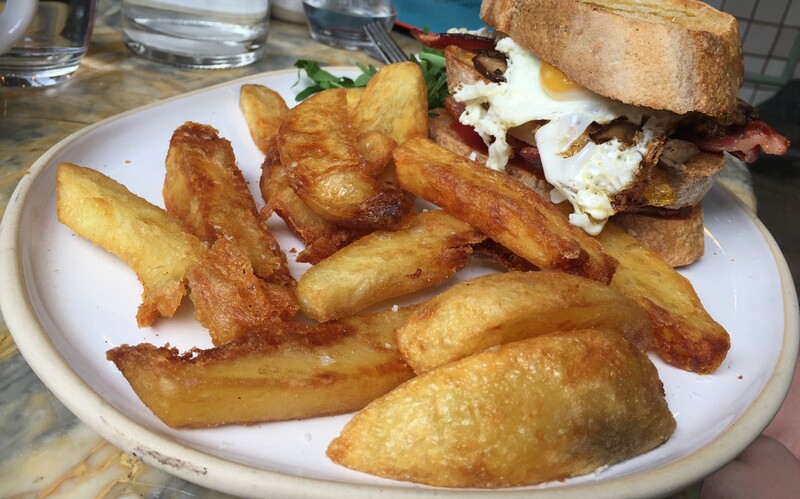 This is becoming a regular thing – out for breakfast or early lunch and we have noticed many people not just wanting toast and coffee but needing something more substantial. So wandering into the Market is not recommended. If you definitely want to eat soon and there are more than two of you, b ook in advance (or as we did on the walk down to Brixton.). 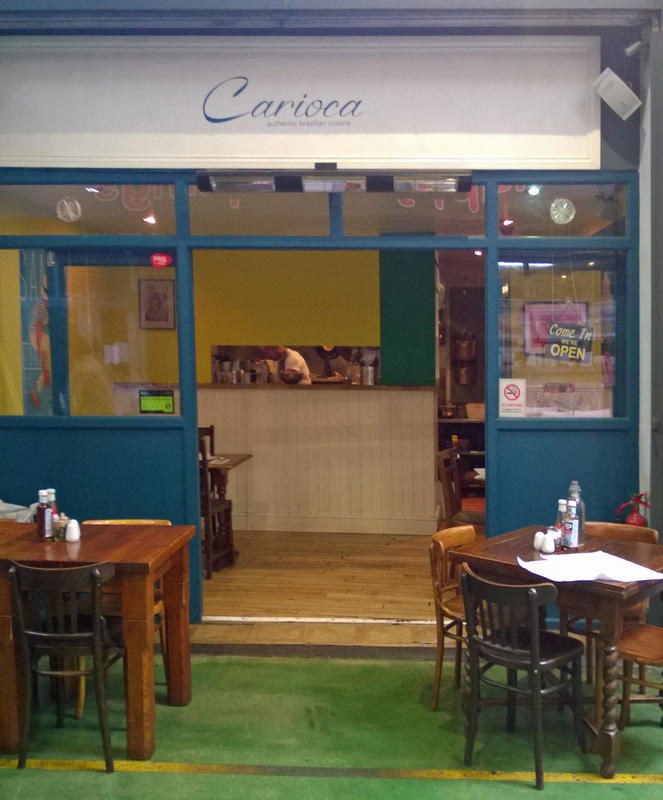 Carioca is a Brazilian restaurant and we have previously reviewed it here. You can still order your traditional British but explore a little and have the corn muffin or the carnival breakfast with spicy pineapple, plantain and fried bell peppers as a feast for the eyes. We still haven’t tried all the options and next time when I am not watching the waistline or my 5 a day, I’ll definitely have the “Favela Da Rossa” with ripe plantain sandwiched with mozzarella, then dipped in batter and fried. If that wasn’t enough you also get fresh tomato, poached eggs, and hollandaise sauce. So vegetarian and meat eaters can blow-out here.